Show that you are one of the few preparing for the coming zombie apocalypse with the Zom-b Skull Slayer Katana placed in a prominent location in your home. This decorative sword has a dramatic look for display. 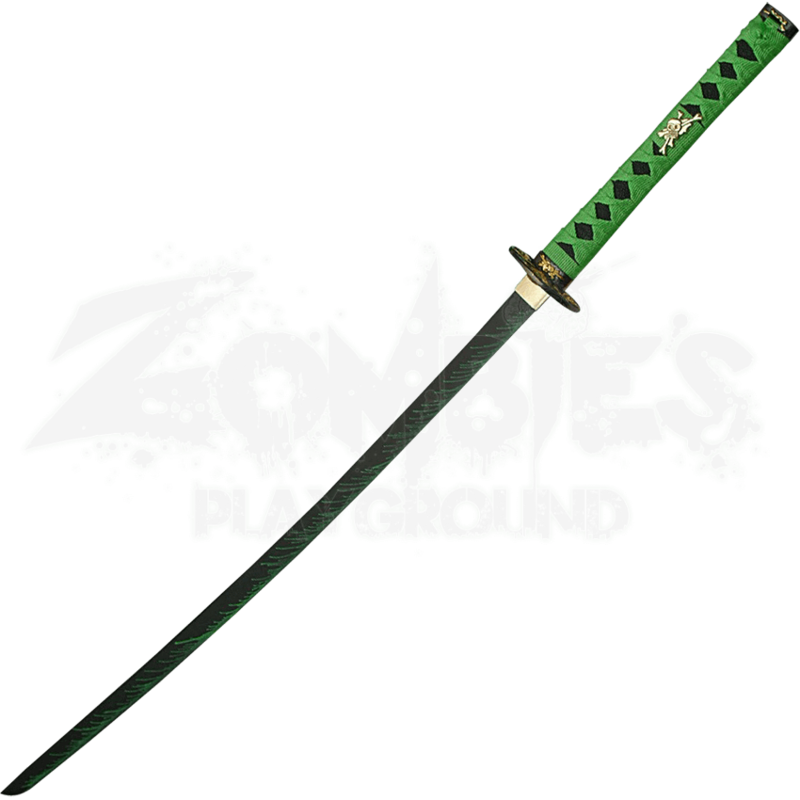 Crafted from carbon steel, the blade of this zombie katana features a black finish with green silk printings in a blood spatter pattern. A zinc-aluminum guard with a skull design and a zombie green handle wrapping finish off the look of this wicked weapon. This decorative katana comes with a matching sheath and a display stand showing a biohazard symbol to make it simple to show off anywhere in your home! 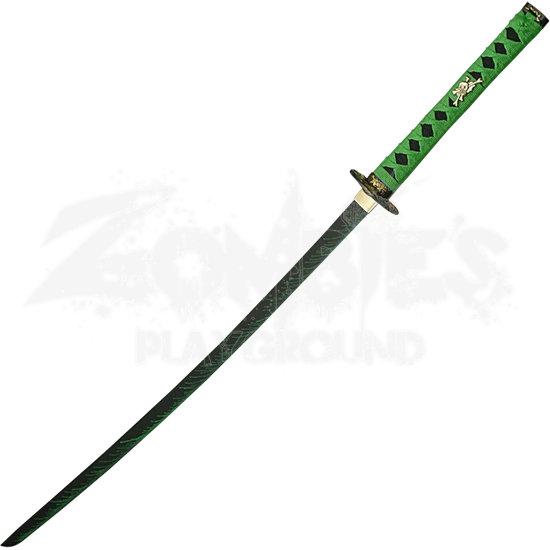 Show your readiness for the outbreak with the Zom-B Skull Slayer Katana, and hope that others follow suit.